In Windows 8 and 8.1, there is the newly added locked screen. The lock screen will play when you sign in or leave your PC. You can learn about some information like weather, date and notifications, which is considered to be useful for some computer users. There are many people who don't like this new lock screen. Its useless for them as it doesn't do anything special. If you want a faster way to get into the system when logging in, one option is to disable the Lock Screen. Step1. Go to the desktop, and press Win + R keys meanwhile to open the Run box. And enter gpedit.msc to the box and click OK button. Step2. 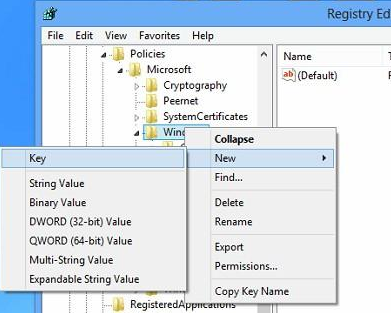 Navigate to the specified location step by step when you enter the Local Group Policy Editor. When you go to the Personalization, you will get three configurable items on the right pane. 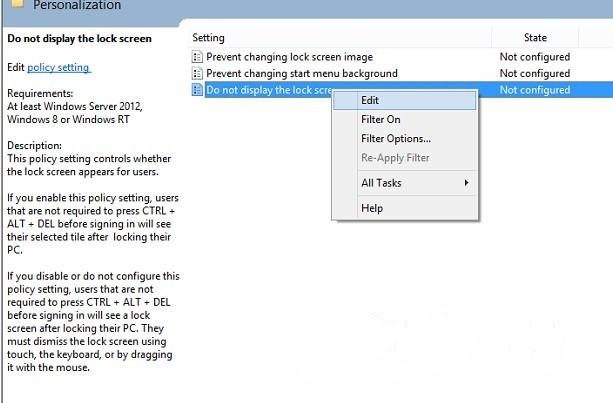 Select the “Do not display the lock screen” settings, and right click it and select Edit option. Then you’ll get a new dialog in which you need to change the radio button from “Not Configured” to “Enabled”. Step3. Click Apply button, and then close the dialog by clicking OK button. Step1. You should sign in the Windows as an administrator first. Then press Ctrl + C keys at the same time to open the Charm menu. 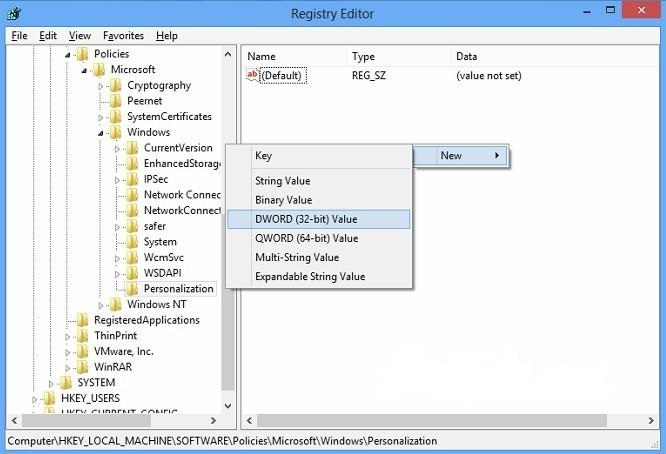 Then enter regedit to the search box, so that you can access to Registry Editor. Step2. 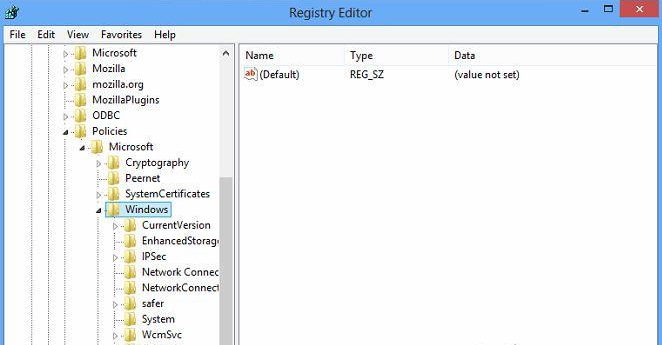 Follow the file path as below to find the file location in the Registry Editor. 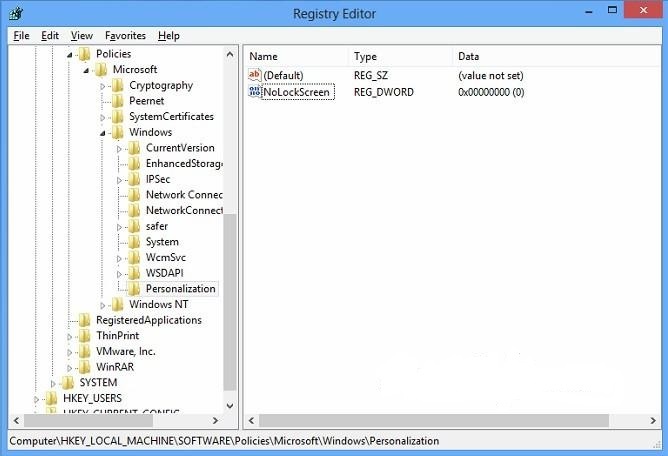 If you can’t find the Personalization item, you can right click the Windows key and point to New, and then create a key named Personalization. Step3. Right-click in the right pane and create a new DWORD (32-bit) Value named NoLockScreen. Step4. 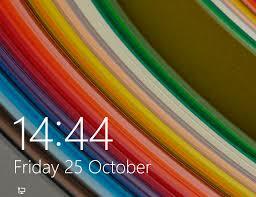 Double-click the NoLockScreen value and enter a value of 1. Step5. Restart your PC so that the modification you made can take effect.